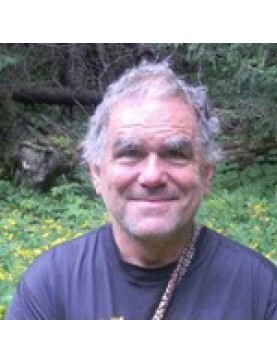 Paul Bergner is Director of the North American Institute of Medical Herbalism (NAIMH) in Portland, Oregon where he offers clinical training in medical herbalism and clinical nutrition. He has edited the Medical Herbalism journal since 1989. Visit the website for NAIMH at http://naimh.com for more information about programs. Speaker: Paul Bergner. Dietetics and nutrition have long been essential elements of a therapeut..
Speaker: Paul Bergner. The therapeutic paradigms of Chinese syndrome patterns may at first seem..
Speaker: Paul Bergner. Mineral and trace element components of medicinal plants are the forgott..
Speaker: Paul Bergner. An herban legend is a persistent, widely held belief about a plant and i..
Speaker: Paul Bergner. Little-known but well-established facts about human physiology are prese..
Speaker: Paul Bergner. Sometimes our most commonplace herbs, often growing abundantly around us..
Speaker: Paul Bergner. The therapeutic order in healing describes a hierarchy of interventions,..
Speaker: Paul Bergner. Botany, historical uses and recent studies are reviewed for Actaea spp a..
Speaker: Paul Bergner. A review of five plants with diverse topical application: Plantago, Cale..
Speaker: Paul Bergner. The constitutional polarity of tonic/astringent vs relaxant is frequentl..
Speaker: Paul Bergner. These "moistening adaptogens" are very well suited to addressing the con..
Speaker: Paul Bergner. West Nile infections are currently rebounding in the southwest and Calif..
Speaker: Paul Bergner. Herbs with strong heating effects require precautions for certain patien..
Speaker: Paul Bergner. Strategies include resetting the sleep cycle, reducing stress and natura..
Speaker: Paul Bergner. Recommendations for the use of adaptogens in building strength and stami..
Speaker: Paul Bergner. Supplementing athletic training with tonic herbs for endurance, performa..
Speaker: Paul Bergner. Diagnosing gluten intolerance can be tricky. Reliability of the diagnost..
Speaker: Paul Bergner. The potential benefits of coffee consumption include antidiabetic, antii..
Speaker: Paul Bergner. Diagnostic criteria for subclinical hypothyroid (depressed TSH with normal T4..
Speaker: Paul Bergner. Four Bitter Mints..
Speaker: Paul Bergner. Digestive and Topical Herbs..
Speaker: Paul Bergner. A New Look at Coffee: Benefits, Adverse Effects, Interactions Paul Bergner..
Speaker: Paul Bergner. A Vitalist Approach to Withdrawal from Pharmaceutical Drugs..
Speaker: Paul Bergner. Herbal Therapeutics for the Urinary System..
Speaker: Paul Bergner. Above all, treat the whole person on all levels, not just the painful area. E..
Speaker: Paul Bergner. Covers the endocrine pathophysiology of sleep debt, and lifestyle counse..
Speaker: Paul Bergner. Cases presented include: dietary and botanical treatments to restore nor..
Speaker: Paul Bergner. Epidemiological, pathological, prevention, and ateria medica therapeuti..
Speaker: Paul Bergner. A review of the general properties of bitter-flavored herbs, and a discu..
Speaker: Paul Bergner. Pathology of this common condition is described along with the therapeut..
Speaker: Paul Bergner. A review of the clinical presentation of West Nile, with natural and herbal t..
Speaker: Paul Bergner. Relax, tonify, stimulate: a discussion and mini-workshop on three herbal..
Speaker: Paul Bergner. A review of antiviral strategies in general, and the materia medica for ..
Speaker: Paul Bergner. This lecture covers the history of vitalist theories of medicine from th..
Speaker: Paul Bergner. Injury, inflammation, spasm and pressure can all cause pain. Apium, Cory..
Speaker: Paul Bergner. This lecture presents the therapeutic uses of black cohosh, myrrh gum, ..
Speaker: Paul Bergner. The physiological effects of sleep debt on the endocrine system, th..
Speaker: Paul Bergner. The steps to determining the proper therapeutic methods for a chronicall..
Speaker: Paul Bergner. Continued from Part 1. Gives common sense guidelines for nutritional in..
Speaker: Paul Bergner. A description of the theory that two herbs can work better therapeutical..
Speaker: Paul Bergner. A model for the study of herbal materia medica from four different direc..
Speaker: Paul Bergner. Case reports from scientific literature, other practitioners and Pa..
Speaker: Paul Bergner. Includes Paul Bergner's quick guide to MEDLINE searching. Other si..